Thomas Alan Schwartz is a historian of the foreign relations of the United States, with related interests in Modern European history and the history of international relations. He is the author of "America’s Germany: John J. McCloy and the Federal Republic of Germany" (Harvard, 1991), which was translated into German, Die Atlantik Brücke (Ullstein, 1992). The book examined the “dual containment” policy of the United States in Germany, a policy which sought to integrate Germany into the West while using her resources and strength to contain the Soviet Union. This book received the Stuart Bernath Book Prize of the Society of American Foreign Relations, and the Harry S. Truman Book Award, given by the Truman Presidential Library. He is also the author of "Lyndon Johnson and Europe: In the Shadow of Vietnam" (Harvard, 2003), which examined the Johnson Administration’s policy toward Europe and assessed the impact of the war in Vietnam on its other foreign policy objectives. He is the co-editor with Matthias Schulz of "The Strained Alliance: U.S.-European Relations from Nixon to Carter" (Cambridge University Press, 2009). He is currently working on two books: a biography of former Secretary of State Henry Kissinger, tentatively entitled, "Henry Kissinger and the Dilemmas of American Power," and "The Long Twilight Struggle: A Concise History of the Cold War." 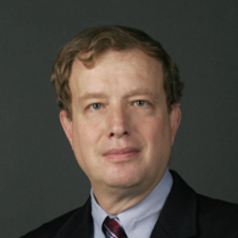 Professor Schwartz has held fellowships from the Social Science Research Council, the German Historical Society, the Norwegian Nobel Institute, the Woodrow Wilson International Center for Scholars, and the Center for the Study of European Integration. He has served as President of the Society of Historians of American Foreign Relations. He served on the United States Department of State’s Historical Advisory Committee as the representative of the Organization of American Historians from 2005-2008. Professor Schwartz received The Madison Sarratt Prize for Excellence in Undergraduate Teaching on April 3, 2013 at the Spring Faculty Assembly, Vanderbilt University. In 2008 Professor Schwartz received the Annual Alumni Education Award from the Vanderbilt Alumni Association. Schwartz is the recipient of the 2008 Book Award by Chi Chapter of the Kappa Alpha Order. This award is given to a faculty member who has been particularly influential in the lives and education of members of KAO. Professor Schwartz presented The 2010 Herbert S. Schell Annual Lecture in American History, "Henry Kissinger, Vietnam, and Iraq: The Problem of Realism in American Foreign Policy," on October 18, 2010. Professor Schwartz presented, "The Arab Spring: Revolution in the Middle East," on April 19, 2011, as part of the Samuel L. Shannon distinguished Lecture Series at Tennessee State University. Professor Schwartz has presented lectures for the OAH Distinguished Lecturers Program, please click here to see the list of lectures.